The same day that I noticed the Kickstarter for AndoCon 2018 in Atlanta, I read that the Heavy Metal Thunder Mouse RPG Kickstarter was also based out of Atlanta, and, while talking with David Silva of Metahumans Rising recently, it turned out he’d been in Georgia for 17 years (he’s in Vegas now). That got me to wondering, are there enough tabletop games/products on Kickstarter to warrant an article about my state? You’ll have to judge for yourself, but here’s a sampling of what gaming Georgia has to offer on Kickstarter. “A set of 30 5″x7” two-sided illustrated cards. Minimalist art and prompts help you quickly create engaging stories and RPG side quests. Dangerous Places cards allow you to “render” new areas so that your player characters can actually wander outside of your planned adventure. Those samples give you a solid idea of what is being offered. Each card has several high level ideas for adventures. They’re system agnostic and broad enough to spark a variety of quests. As a quick GM tool, they’re an interesting asset and worth exploring if those samples moved you. “A card based, role playing, kingdom building, adventure game with dice. The best of everything all under one apocalyptic roof! This ends on Halloween, that’s how on point Aaron Antonich of Award Winning Games [the company name is prediction over track record] is with this game. Is this “card based, role playing, kingdom building, adventure game with dice” right for you? That’s a lot of ground to cover but, you can check out an early version of the game rules here and decide if they are right for your table. HMTM uses the rules of Fate to tell stories about the drama of city mice and their motorcycle clubs. 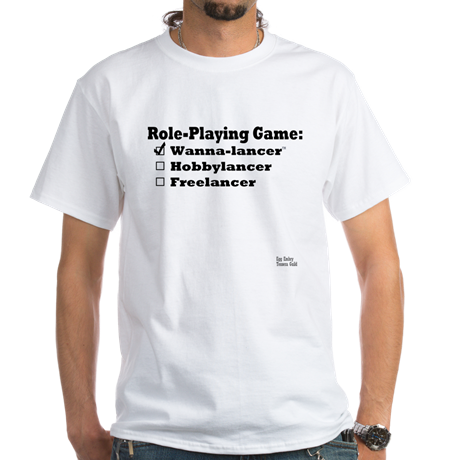 It’s an RPG that works best with 2-5 players (plus the GM). It’s fit for episodic play (sessions last about 3-4 hours) and epic campaigns! The Spanner Murine Motorcycle Club: The finest mechanics and the most arrogant gang in the city. They’re snooty little mice but they can back it up, or so they say. 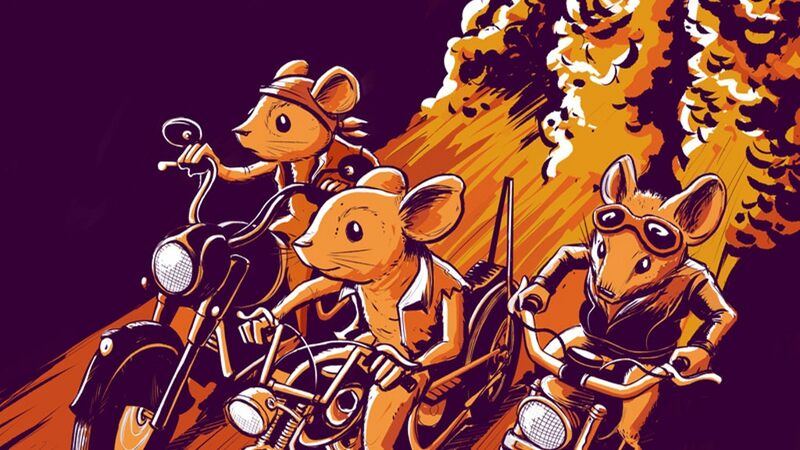 The Asphalt Avengers: If speed had a fan club it would be these crazed rodents. Their whole club life is based around the next incredible kick, and not much else. It’s high a velocity life for them. The Bardlings: Not all clubs are about territory and “business”; some simply want freedom from the usual mouse’s life of scrounging and fretting. So the Bardlings are just that, strumming their matchbox guitars and beating thimble-sized bongos late into the night. I’m a fan of the Mouse Guard comics and RPG, and I’ve reviewed Vasty Wilds because it had an art style similar to David Peterson’s work, so Heavy Metal Thunder Mouse – mice on motorcycles using a variant FATE engine – was always going to pique my interest. The concept is fun and whimsical enough that, like Craig Campbell said in the Kickstarter video, “I’m, frankly, a little upset I didn’t come up with the idea first.” I think you know that your collection will not be complete without this game on your shelf! Find their games on DriveThruRPG here. A part of this article is built on an idea my editor at EN World, Christopher Helton, shared here. Every Kickstarter featured in this post are Georgia games or Georgia products or a Georgia gaming convention. Singularly, these are games worth checking out. Collectively, these are opportunities to grow the local gaming community, to be the answer to Christopher Helton’s call to action. My hope is that sharing space in an article will start not just the subjects of this post but the wider gaming world to think locally and work to increase the size of the gaming table! There are topics to discuss and ideas to share and, maybe, the chance that we can try some face-to-face support that will raise all ships. My gaming preference is RPG. That said, I want to shout out some other non-RPG gaming Georgia projects. Ends on Sun, October 8 2017 12:57 AM EDT. “The 1998 Deck is a deck that merges nostalgic 90s hip-hop with a deck of playing cards. Play poker with the Gods of Rap! Thanks for taking the time to take a look at my little project! This is The 1998 Deck. It’s a deck of cards that marries nostalgic 90s Hip Hop to your favorite card game. My name is Khia Jackson, I’m a graphic designer based in Atlanta. The first leg of this project has already been completed, and I’ve been truly floored by the positive responses and the love that it has elicited from all parts of the world. The 1998 deck is a 4-part series that uses legendary Hip Hop artists as it’s imagery, but still follows the size and layout guidelines of official poker cards. I’ve created The Biggie Deck (see the video). Now i’m trying to mass produce The Nas Deck. In each of the decks the legendary rappers shift their position and the artwork evolves. So, when the series of 4 is finally completed, Biggie Smalls will be the King of ‘Spades’, ‘Clubs’, ‘Diamonds’ and ‘Hearts’; all with different coloration and design variations. This deck was created with Spades players in mind. In this iteration of the deck, Nas leads as the power card when he becomes the King of Spades. However, because this deck follows standard guidelines, it can be used for any of your favorite card games. Here is where I need your help! I need money to produce the deck and to get it shipped. I have exhausted over 300 hours of design work to create the Biggie deck alone! This project is a true labor of love. I’m pushed by my passion for the project and fueled by the people who have told me they’ve used my artwork to unwind after a stressful week. Ends on Sun, October 15 2017 9:59 AM EDT. “Impudent Mortal has redefined hobby organization with a system for all of your tools, paint, and bits that is both modular and mobile! Ends on Sat, October 14 2017 12:49 PM EDT . You can read my interview with Dave Silva here. Tagged AndoCon, Award Winning Games, Dangerous Places, Demons, Gaming Georgia, Heavy Metal Thunder Mouse, Kickstarter, Shoreless Skies Publishing.